When choosing a SMS provider, we know the final decision can come down to price. We’ve worked with all the major UK mobile networks to provide you with a price that’s truly competitive and if you have a high volume, we can definitely work out a discount for you. Why settle for lower quality providers when you can use TxtSync and still save money? Please contact us to discuss the available options and pricing for volume discounting & services. Your first sync profile is Free for 14 days on a trial basis, after which you will automatically be billed monthly for the relevant amount. You can cancel your sync trial at any point and you will not be charged if cancellation occurs before the trial period ends. * Please note that all prices shown are excluding VAT. VAT is applied when topping up your balance or when invoiced for the monthly additions on your account. 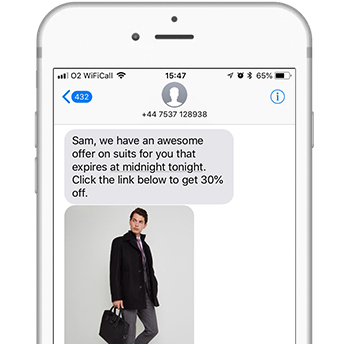 We charge on-demand for the outbound SMS you send. Each sent SMS will be deducted from your account balance. The minimum account balance top up is £5. There’s no commitment or credit card details required to try us out and all features are instantly available!